Peaceful, beautiful 2-story contemporary located on premium lot (backs up to wooded area) at the end of the cul-de-sac on Winding Brook Court in Simsbury. This home has neutral colors throughout and is move-in ready. The dramatic two-story entryway invites friends and family to an elegant yet homey, spacious yet cozy home. Master bathroom has been completely updated. 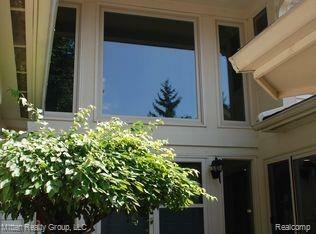 2 BRs on upper level each with full bath. There is a new composite deck off the dining area. Except for upper bedrooms, windows were replaced throughout (within past several years). A large unfinished basement is ready for your custom build out!